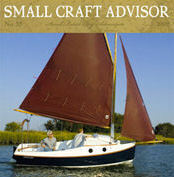 No, I haven;t forgotten about The Virtual Boatyard! I just got out of ther hospital after some serious surgery (partial amputation of the left foot). I'm learning to balance and walk all over again. Unfortunately, everythimng takes three times longer and uses four times more energy compared to before. I, too, have been trying to contact Mold Avenger, to no avail. That is a shame because it was a great product. if and when I come up with an alternative, I'll let everyone know. In the mean time. back to my rehab!